Thursday Beavers had a visit from a Pilot on Thursday! 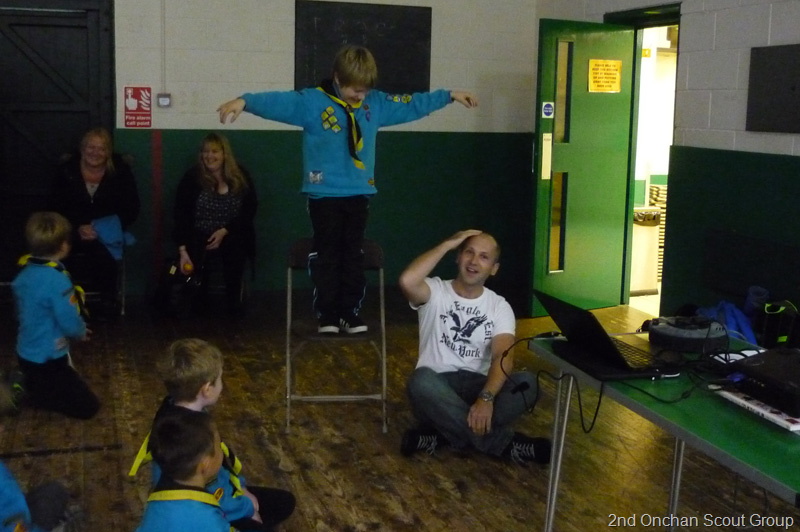 Ian spoke to the Beavers about his experiences of flying a small aircraft. He also explained to the Beavers about the four forces acting on an aeroplane – thrust, lift, drag and weight. He even demonstrated the theory of gravity by allowing a Beaver to drop an apple on his head! Ian showed the Beavers some wonderful photographs from his flights over America and also the Isle of Man, and the Beavers had fun trying to identify the different places. 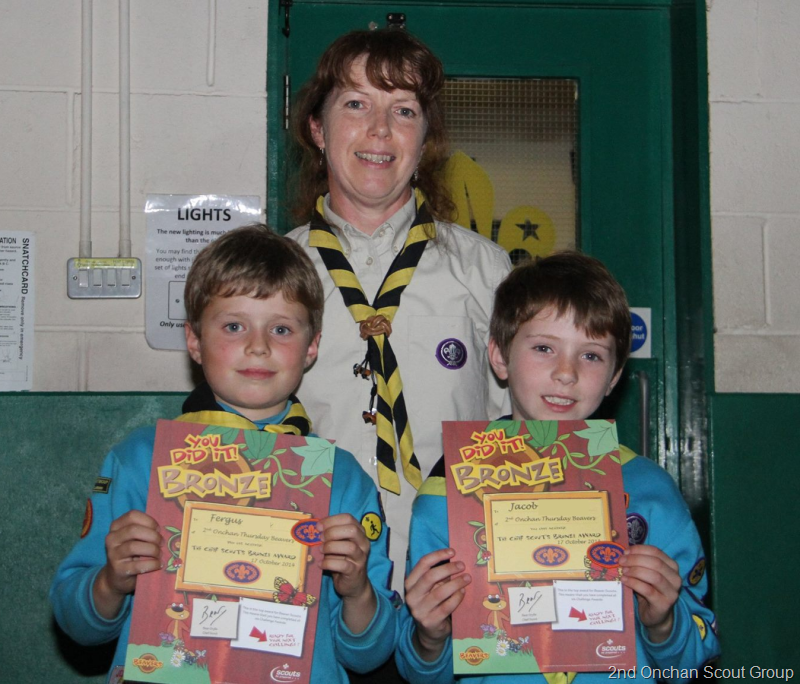 Congratulations to all those nominated for the Best Beaver and the most Enthusiastic Beaver Awards at the recent Scout Group Awards Night, and very well done to Ryan E. – Winner of the Best Beaver Award and Stephen H. – Winner of the most Enthusiastic Beaver Award. 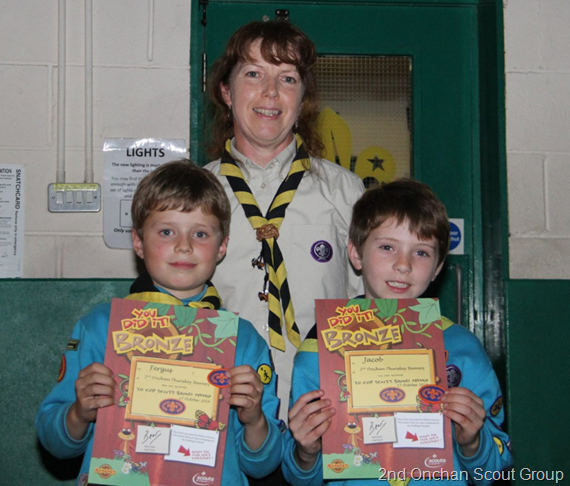 We also presented two Chief Scout’s Bronze Awards on Friday to Jacob H and Fergus W. This prestigious Award can only be achieved by Beavers who have completed all six of their Beaver Scout Challenge Awards (Promise, Friendship, Fitness, Creative, Global and Outdoor). It can take up to two years to complete these challenges. Jacob and Fergus have worked hard to make this happen, completing activities at home when necessary. So massive congratulations go to them both. 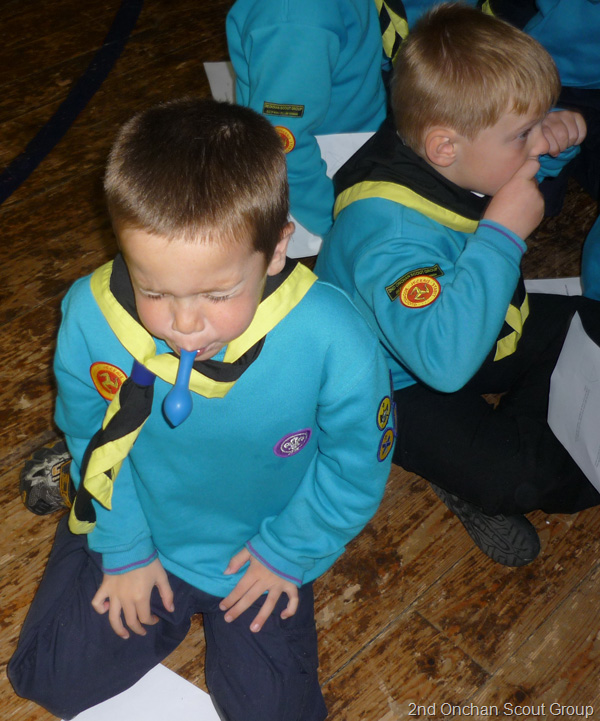 Tagged Awards Night, Chief Scouts Bronze Award, Pilot, Thursday Beavers. Bookmark the permalink.